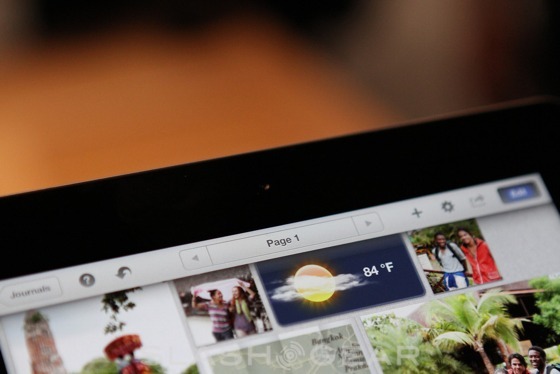 While the iPad 3 may not hit stores until March 16th, several tech sites have already had the opportunity to get up close and personal with the “new iPad”. Slashgear, The Verge and Engadget offer up some early opinions and first impressions, with largely positive comments for Apple’s next-generation tablet. “It’s Resolutionary” Apple says of the new iPad, and we have to agree. We’ve just grabbed some hands-on time with the new Retina Display iOS 5.1 tablet, and the difference from the iPad 2 – which, remember, stays on sale alongside it – is vast. The pixels in the 2048 x 1536 display are, at regular arm’s length, completely indistinguishable: it’s only when you get up close that you can make them out. Physically, the device feels nearly the same in hand as the previous model. Though it does have a slight bump in thickness, the difference is nearly unnoticeable. Since the design hasn’t dramatically changed, there’s not much to note in the casing department, and though there are improved cameras present, the general seating and size of the sensors seems unchanged. There’s no doubt that this here tablet feels every bit like a $500 product, oozing quality from edge to edge and being as delightful as ever to use. Is it the second coming of the tablet? Of course not, but if we’ve learned anything from the iPhone 4S, it doesn’t need to be. Apple just put an insane amount of real estate in the hands of crafty developers, and frankly, we can’t wait to see what they cook up. 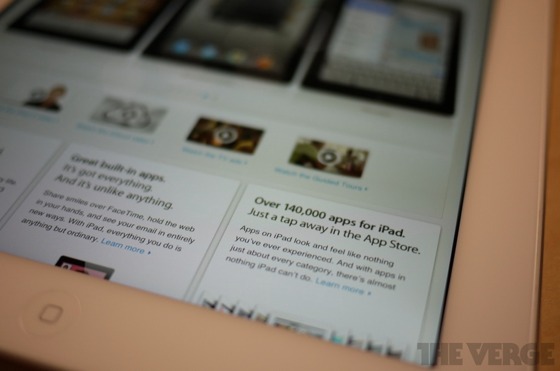 Click here to view our full rundown of all of the iPad 3’s tech specs and new features.